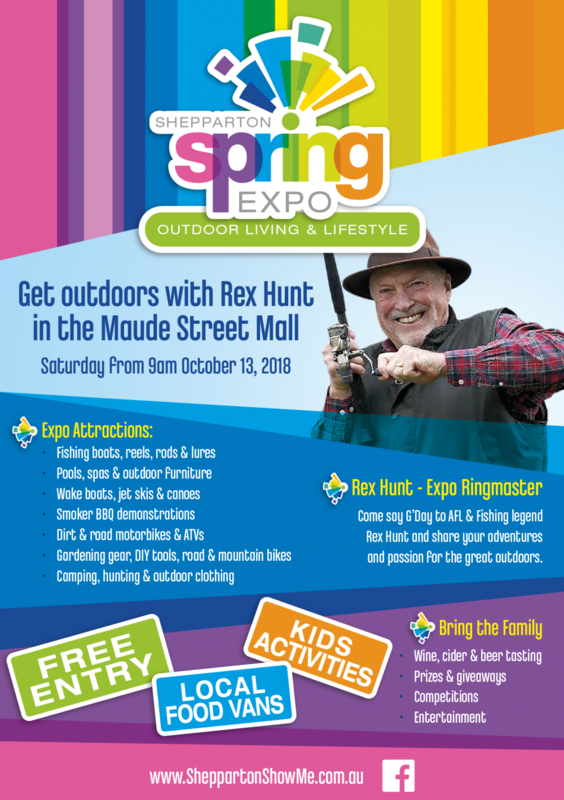 Get outdoors with Rex Hunt in the Maude Street Mall in October! Shepparton Show Me is proudly presenting the inaugural Shepparton Spring Expo! It's all about outdoor living and lifestyle with Rex as your Expo ring master. Fishing exhibits, boats, rods and reels - as well as the man who likes to kiss the fish! Check out a new pool, spa or outdoor furniture. Maybe you need some new wake boarding or water ski gear. Or hit the dirt with a new ATV, dirt bike, road bike, mountain bike, some gardening or camping gear. It's FREE entry, there will be kids activities, prizes and giveaways and plenty more.